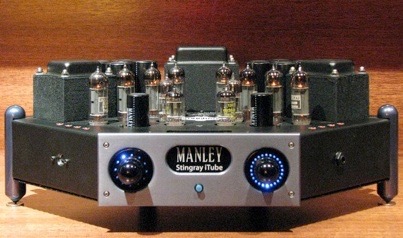 The Manley Stingray stereo integrated amplifier has been renewed and refreshed. New for 2009 we present to you the Stingray iTube integrated tube amplifier with iPod dock and full featured RF and IR remote control.EveAnna Manley and her engineers added a number of features to the Stingray iTube. It’s a real tube bargain using EL-84’s putting out a solid 50 watts a channel while maintaining it’s dual mono design. 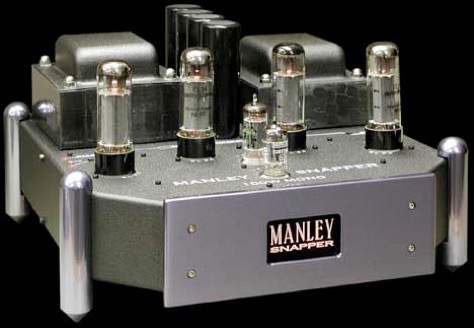 The Manley Snapper, EveAnna’s personal choice to drive her Tannoys and ATC’s. Using parallel push-pull EL-34’s and providing 100 watts of power; it seems to be the perfect mono-block amplifier for most of today’s speakers, including electrostatics. 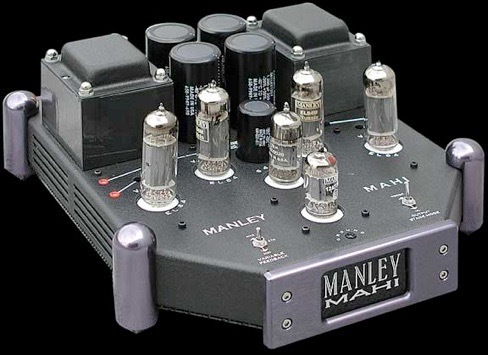 The 19 layer output transformers are wound at Manley’s Chino, CA factory, as are all the output transformers used in their amplifiers. Too clever and very useful! I have every product you see on my website available for demo purposes. Please call and arrange for an in-home trial. 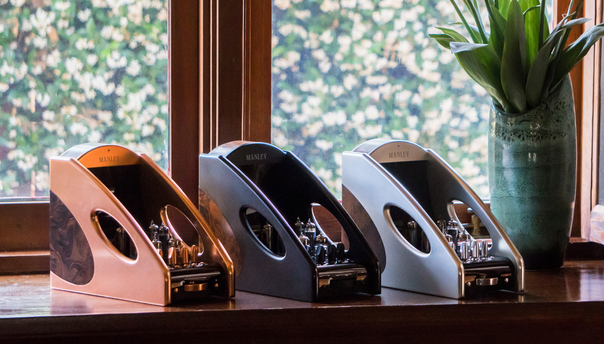 You’ll be pleased with what you hear and just as importantly, should you decide Manley is what you are looking for, you will be spending your dollars supporting an American company.